You should have at least two VMs (1 master and 1 slave) with you before creating cluster in order to test full functionality of k8s. 3] Also, make sure of following things. Prefer to give Static IP. Following steps creates k8s cluster on the above VMs using kubeadm on centos 7. Then you will have to initialize the kubeadm first as in the next step. And the start the kubelet service. -> Use same network CIDR as it is also configured in yaml file of flannel that we are going to configure in step 3. -> At the end you will get one token along with the command, make a note of it, which will be used to join the slaves. 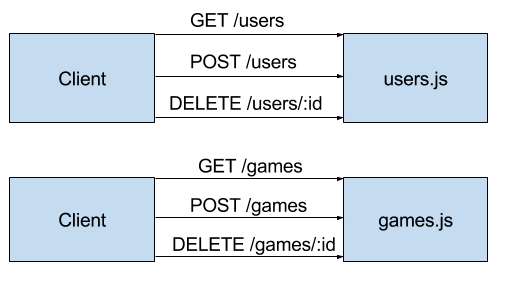 Different networks are supported by k8s and depends on user choice. For this demo I am using flannel network. As of k8s-1.6, cluster is more secure by default. It uses RBAC ( Role Based Access Control ), so make sure that the network you are going to use has support for RBAC and k8s-1.6. -> at this stage all your pods should be in running state. -> option “-o wide” will give more details like IP and slave where it is deployed. SSH to slave and execute following command to join the existing cluster. You might also have an ca-cert-hash make sure you copy the entire join command from the init output to join the nodes. -> If slave is not ready, wait for few seconds, new slave will join soon. Verify pods are getting created or not. Now , lets expose the deployment so that the service will be accessible to other pods in the cluster. Above command will create service with the name “nginx-service”. Service will be accessible on the port given by “–port” option for the “–target-port”. Target port will be of pod. Service will be accessible within the cluster only. In order to access it using your host IP “NodePort” option will be used. –type=NodePort :- when this option is given k8s tries to find out one of free port in the range 30000-32767 on all the VMs of the cluster and binds the underlying service with it. If no such port found then it will return with an error. From all the VMs including master. Nginx welcome page should be accessible. Execute this from all the VMs. Nginx welcome page should be accessible. Also, Access nginx home page by using browser. Helm will figure out where to install Tiller by reading your Kubernetes configuration file (usually $HOME/.kube/config). This is the same file that kubectl uses. To find out which cluster Tiller would install to, you can run kubectl config current-contextor kubectl cluster-info. Download a binary release of the Helm client. You can use tools like homebrew, or look at the official releases page. For more details, or for other options, see the installation guide. This will install Tiller into the Kubernetes cluster you saw with kubectl config current-context. TIP: Want to install into a different cluster? Use the --kube-context flag. TIP: When you want to upgrade Tiller, just run helm init --upgrade. To install a chart, you can run the helm install command. Helm has several ways to find and install a chart, but the easiest is to use one of the official stable charts. In the example above, the stable/mysql chart was released, and the name of our new release is smiling-penguin. 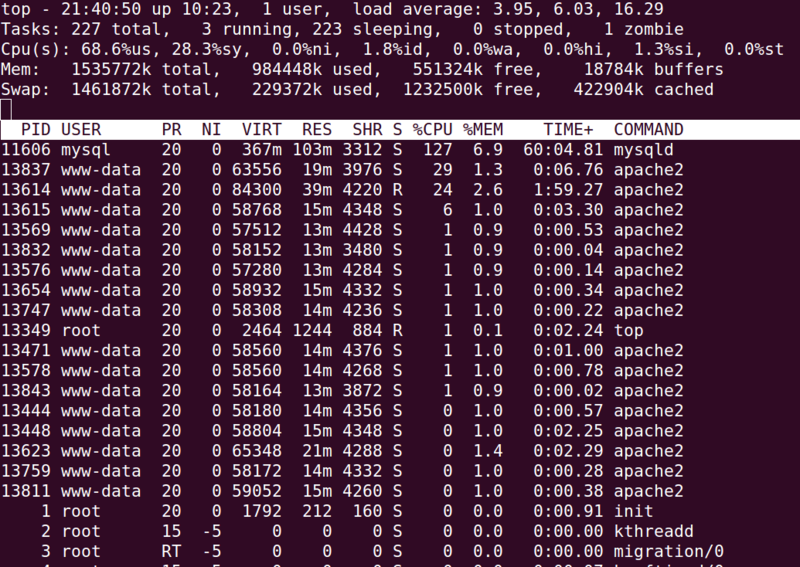 You get a simple idea of the features of this MySQL chart by running helm inspect stable/mysql. Whenever you install a chart, a new release is created. So one chart can be installed multiple times into the same cluster. And each can be independently managed and upgraded. Because Helm tracks your releases even after you’ve deleted them, you can audit a cluster’s history, and even undelete a release (with helm rollback). There are two parts to Helm: The Helm client (helm) and the Helm server (Tiller). This guide shows how to install the client, and then proceeds to show two ways to install the server. From there, you should be able to run the client: helm help. 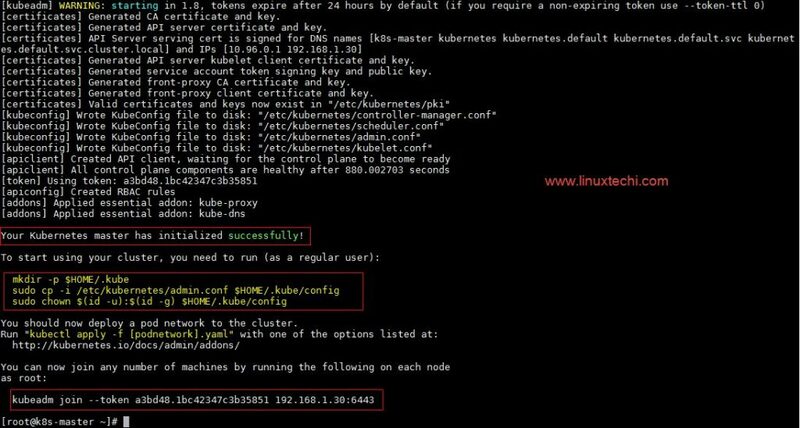 Members of the Kubernetes community have contributed a Helm formula build to Homebrew. This formula is generally up to date. Helm now has an installer script that will automatically grab the latest version of the Helm client and install it locally. You can fetch that script, and then execute it locally. It’s well documented so that you can read through it and understand what it is doing before you run it. Yes, you can curl https://raw.githubusercontent.com/kubernetes/helm/master/scripts/get | bash that if you want to live on the edge. “Canary” builds are versions of the Helm software that are built from the latest master branch. They are not official releases, and may not be stable. However, they offer the opportunity to test the cutting edge features. Building Helm from source is slightly more work, but is the best way to go if you want to test the latest (pre-release) Helm version. You must have a working Go environment with glide and Mercurial installed. The bootstrap target will attempt to install dependencies, rebuild the vendor/ tree, and validate configuration. The build target will compile helm and place it in bin/helm. Tiller is also compiled, and is placed in bin/tiller. After helm init, you should be able to run kubectl get pods --namespace kube-systemand see Tiller running. Helm will look for Tiller in the kube-system namespace unless --tiller-namespace or TILLER_NAMESPACE is set. Canary images are built from the master branch. They may not be stable, but they offer you the chance to test out the latest features. This will use the most recently built container image. You can always uninstall Tiller by deleting the Tiller deployment from the kube-system namespace using kubectl. 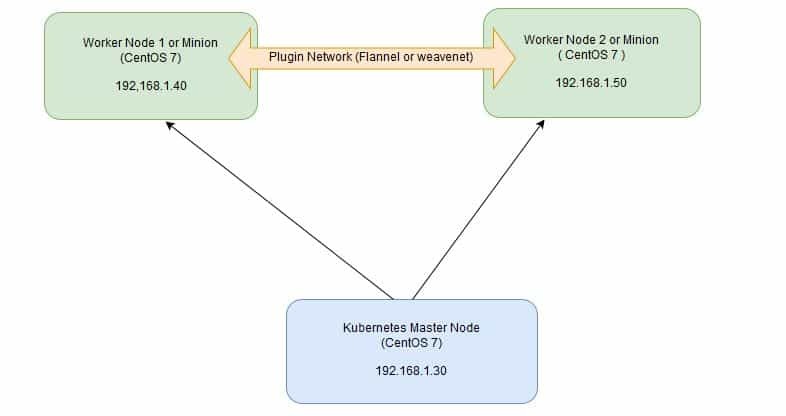 For development, it is sometimes easier to work on Tiller locally, and configure it to connect to a remote Kubernetes cluster. The process of building Tiller is explained above. You must tell helm to connect to this new local Tiller host instead of connecting to the one in-cluster. There are two ways to do this. The first is to specify the --host option on the command line. The second is to set the $HELM_HOST environment variable. $ helm version # Should connect to localhost. Importantly, even when running locally, Tiller will store release configuration in ConfigMaps inside of Kubernetes. As of Helm 2.2.0, Tiller can be upgraded using helm init --upgrade. Setting TILLER_TAG=canary will get the latest snapshot of master. Because Tiller stores its data in Kubernetes ConfigMaps, you can safely delete and re-install Tiller without worrying about losing any data. The recommended way of deleting Tiller is with kubectl delete deployment tiller-deploy --namespace kube-system, or more concisely helm reset. In most cases, installation is as simple as getting a pre-built helm binary and running helm init. This document covers additional cases for those who want to do more sophisticated things with Helm. Once you have the Helm Client and Tiller successfully installed, you can move on to using Helm to manage charts. This document captures information about using Helm in specific Kubernetes environments. We are trying to add more details to this document. Please contribute via Pull Requests if you can. Helm is tested and known to work with minikube. It requires no additional configuration. Hyperkube configured via scripts/local-cluster.sh is known to work. For raw Hyperkube you may need to do some manual configuration. Google’s GKE hosted Kubernetes platform is known to work with Helm, and requires no additional configuration. CAN SOMEONE CONFIRM ON FEDORA? Some versions of Helm (v2.0.0-beta2) require you to export KUBECONFIG=/etc/kubernetes/admin.conf or create a ~/.kube/config. Helm requires that kubelet have access to a copy of the socat program to proxy connections to the Tiller API. On Container Linux the Kubelet runs inside of a hyperkube container image that has socat. So, even though Container Linux doesn’t ship socat the container filesystem running kubelet does have socat. To learn more read the Kubelet Wrapper docs. This section tracks some of the more frequently encountered issues with installing or getting started with Helm. We’d love your help making this document better. To add, correct, or remove information, file an issue or send us a pull request. I want to know more about my downloading options. Q: I can’t get to GitHub releases of the newest Helm. Where are they? A: We no longer use GitHub releases. Binaries are now stored in a GCS public bucket. Q: Why aren’t there Debian/Fedora/… native packages of Helm? We’d love to provide these or point you toward a trusted provider. If you’re interested in helping, we’d love it. This is how the Homebrew formula was started. Q: Why do you provide a curl ...|bash script? A: There is a script in our repository (scripts/get) that can be executed as a curl ..|bashscript. The transfers are all protected by HTTPS, and the script does some auditing of the packages it fetches. However, the script has all the usual dangers of any shell script. We provide it because it is useful, but we suggest that users carefully read the script first. What we’d really like, though, are better packaged releases of Helm. I’m trying to install Helm/Tiller, but something is not right. Q: How do I put the Helm client files somewhere other than ~/.helm? Q: How do I configure Helm, but not install Tiller? A: By default, helm init will ensure that the local $HELM_HOME is configured, and then install Tiller on your cluster. To locally configure, but not install Tiller, use helm init --client-only. Q: How do I manually install Tiller on the cluster? A: Tiller is installed as a Kubernetes deployment. You can get the manifest by running helm init --dry-run --debug, and then manually install it with kubectl. It is suggested that you do not remove or change the labels on that deployment, as they are sometimes used by supporting scripts and tools. Q: Why do I get Error response from daemon: target is unknown during Tiller install? A: Users have reported being unable to install Tiller on Kubernetes instances that are using Docker 1.13.0. The root cause of this was a bug in Docker that made that one version incompatible with images pushed to the Docker registry by earlier versions of Docker. This issue was fixed shortly after the release, and is available in Docker 1.13.1-RC1 and later. I successfully installed Helm/Tiller but I can’t use it. E1014 02:26:32.885226   16143 portforward.go:329] an error occurred forwarding 37008 -> 44134: error forwarding port 44134 to pod tiller-deploy-2117266891-e4lev_kube-system, uid : unable to do port forwarding: socat not found. 2016/10/14 02:26:32 transport: http2Client.notifyError got notified that the client transport was broken EOF. A: This is usually a good indication that Kubernetes is not set up to allow port forwarding. Error: Error forwarding ports: error upgrading connection: No SSH tunnels currently open. Were the targets able to accept an ssh-key for user "gke-[redacted]"? A: The issue is that your local Kubernetes config file must have the correct credentials. When you create a cluster on GKE, it will give you credentials, including SSL certificates and certificate authorities. These need to be stored in a Kubernetes config file (Default: ~/.kube/config so that kubectl and helm can access them. A: Helm uses the Kubernetes proxy service to connect to the Tiller server. If the command kubectl proxy does not work for you, neither will Helm. Typically, the error is related to a missing socat service. A: Check your security settings for Kubernetes. A panic in Tiller is almost always the result of a failure to negotiate with the Kubernetes API server (at which point Tiller can no longer do anything useful, so it panics and exits). Often, this is a result of authentication failing because the Pod in which Tiller is running does not have the right token. To fix this, you will need to change your Kubernetes configuration. Make sure that --service-account-private-key-file from controller-manager and --service-account-key-filefrom apiserver point to the same x509 RSA key. My Helm used to work, then I upgrade. Now it is broken. Q: After upgrade, I get the error “Client version is incompatible”. What’s wrong? Tiller and Helm have to negotiate a common version to make sure that they can safely communicate without breaking API assumptions. That error means that the version difference is too great to safely continue. Typically, you need to upgrade Tiller manually for this. The Installation Guide has definitive information about safely upgrading Helm and Tiller. Pre-release versions are incompatible with everything else. Alpha.1 is incompatible with Alpha.2. Minor revisions are not compatible: 1.2.0 is not compatible with 1.3.0, though we may relax this constraint in the future. Major revisions are not compatible: 1.0.0 is not compatible with 2.0.0. I am trying to remove stuff. Q: When I delete the Tiller deployment, how come all the releases are still there? Releases are stored in ConfigMaps inside of the kube-system namespace. You will have to manually delete them to get rid of the record. Q: I want to delete my local Helm. Where are all its files? Along with the helm binary, Helm stores some files in $HELM_HOME, which is located by default in ~/.helm. This guide explains the basics of using Helm (and Tiller) to manage packages on your Kubernetes cluster. It assumes that you have already installed the Helm client and the Tiller server (typically by helm init). If you are simply interested in running a few quick commands, you may wish to begin with the Quickstart Guide. This chapter covers the particulars of Helm commands, and explains how to use Helm. A Release is an instance of a chart running in a Kubernetes cluster. One chart can often be installed many times into the same cluster. And each time it is installed, a new release is created. Consider a MySQL chart. If you want two databases running in your cluster, you can install that chart twice. Each one will have its own release, which will in turn have its own release name. Helm installs charts into Kubernetes, creating a new release for each installation. And to find new charts, you can search Helm chart repositories. When you first install Helm, it is preconfigured to talk to the official Kubernetes charts repository. This repository contains a number of carefully curated and maintained charts. This chart repository is named stable by default. stable/jenkins  	0.1.0   	A Jenkins Helm chart for Kubernetes. Now you will only see the results that match your filter. Search is a good way to find available packages. Once you have found a package you want to install, you can use helm install to install it. To install a new package, use the helm install command. At its simplest, it takes only one argument: The name of the chart. During installation, the helm client will print useful information about which resources were created, what the state of the release is, and also whether there are additional configuration steps you can or should take. Helm does not wait until all of the resources are running before it exits. Many charts require Docker images that are over 600M in size, and may take a long time to install into the cluster. The above shows the current state of your release. Installing the way we have here will only use the default configuration options for this chart. Many times, you will want to customize the chart to use your preferred configuration. You can then override any of these settings in a YAML formatted file, and then pass that file during installation. 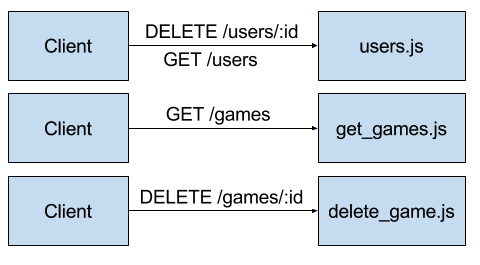 The above will create a default MariaDB user with the name user0, and grant this user access to a newly created user0db database, but will accept all the rest of the defaults for that chart. --set: Specify overrides on the command line. If both are used, --set values are merged into --values with higher precedence. Deeply nested data structures can be difficult to express using --set. Chart designers are encouraged to consider the --set usage when designing the format of a values.yaml file. When a new version of a chart is released, or when you want to change the configuration of your release, you can use the helm upgrade command. An upgrade takes an existing release and upgrades it according to the information you provide. Because Kubernetes charts can be large and complex, Helm tries to perform the least invasive upgrade. It will only update things that have changed since the last release. happy-panda has been upgraded. Happy Helming! We can use helm get values to see whether that new setting took effect. The helm get command is a useful tool for looking at a release in the cluster. And as we can see above, it shows that our new values from panda.yaml were deployed to the cluster. Now, if something does not go as planned during a release, it is easy to roll back to a previous release using helm rollback [RELEASE] [REVISION]. The above rolls back our happy-panda to its very first release version. A release version is an incremental revision. Every time an install, upgrade, or rollback happens, the revision number is incremented by 1. The first revision number is always 1. And we can use helm history [RELEASE] to see revision numbers for a certain release. There are several other helpful options you can specify for customizing the behavior of Helm during an install/upgrade/rollback. Please note that this is not a full list of cli flags. To see a description of all flags, just run helm <command> --help. --wait: Waits until all Pods are in a ready state, PVCs are bound, Deployments have minimum (Desired minus maxUnavailable) Pods in ready state and Services have an IP address (and Ingress if a LoadBalancer) before marking the release as successful. It will wait for as long as the--timeout value. If timeout is reached, the release will be marked as FAILED. From the output above, we can see that the happy-panda release was deleted. Note that because releases are preserved in this way, you can rollback a deleted resource, and have it re-activate. So far, we’ve been installing charts only from the stable repository. But you can configure helm to use other repositories. Helm provides several repository tools under the helm repocommand. Because chart repositories change frequently, at any point you can make sure your Helm client is up to date by running helm repo update. Now there is a chart in ./deis-workflow. You can edit it and create your own templates. As you edit your chart, you can validate that it is well-formatted by running helm lint. Charts that are archived can be loaded into chart repositories. See the documentation for your chart repository server to learn how to upload. Note: The stable repository is managed on the Kubernetes Charts GitHub repository. That project accepts chart source code, and (after audit) packages those for you. In some cases you may wish to scope Tiller or deploy multiple Tillers to a single cluster. Here are some best practices when operating in those circumstances. Tiller can be installed into any namespace. By default, it is installed into kube-system. You can run multiple Tillers provided they each run in their own namespace. Limiting Tiller to only be able to install into specific namespaces and/or resource types is controlled by Kubernetes RBAC roles and rolebindings. You can add a service account to Tiller when configuring Helm via helm init --service-acount <NAME>. You can find more information about that here. Release names are unique PER TILLER INSTANCE. Charts should only contain resources that exist in a single namespace. It is not recommended to have multiple Tillers configured to manage resources in the same namespace. This chapter has covered the basic usage patterns of the helm client, including searching, installation, upgrading, and deleting. It has also covered useful utility commands like helm status, helm get, and helm repo. For more information on these commands, take a look at Helm’s built-in help: helm help. In the next chapter, we look at the process of developing charts. Helm 2.1.0 introduced the concept of a client-side Helm plugin. A plugin is a tool that can be accessed through the helm CLI, but which is not part of the built-in Helm codebase. Existing plugins can be found on related section or by searching Github. This guide explains how to use and create plugins. Helm plugins are add-on tools that integrate seamlessly with Helm. They provide a way to extend the core feature set of Helm, but without requiring every new feature to be written in Go and added to the core tool. They can be added and removed from a Helm installation without impacting the core Helm tool. They can be written in any programming language. They integrate with Helm, and will show up in helm help and other places. Helm plugins live in $(helm home)/plugins. The Helm plugin model is partially modeled on Git’s plugin model. To that end, you may sometimes hear helm referred to as the porcelain layer, with plugins being the plumbing. This is a shorthand way of suggesting that Helm provides the user experience and top level processing logic, while the plugins do the “detail work” of performing a desired action. A Helm plugin management system is in the works. But in the short term, plugins are installed by copying the plugin directory into $(helm home)/plugins. If you have a plugin tar distribution, simply untar the plugin into the $(helm home)/pluginsdirectory. In many ways, a plugin is similar to a chart. Each plugin has a top-level directory, and then a plugin.yaml file. In the example above, the keybase plugin is contained inside of a directory named keybase. It has two files: plugin.yaml (required) and an executable script, keybase.sh (optional). usage: "Integrate Keybase.io tools with Helm"
This plugin provides Keybase services to Helm. The name is the name of the plugin. When Helm executes it plugin, this is the name it will use (e.g. helm NAME will invoke this plugin). name should match the directory name. In our example above, that means the plugin with name: keybase should be contained in a directory named keybase. name cannot duplicate one of the existing helm top-level commands. name must be restricted to the characters ASCII a-z, A-Z, 0-9, _ and -. version is the SemVer 2 version of the plugin. usage and description are both used to generate the help text of a command. The ignoreFlags switch tells Helm to not pass flags to the plugin. So if a plugin is called with helm myplugin --foo and ignoreFlags: true, then --foo is silently discarded. The useTunnel switch indicates that the plugin needs a tunnel to Tiller. This should be set to true anytime a plugin talks to Tiller. It will cause Helm to open a tunnel, and then set $TILLER_HOST to the right local address for that tunnel. But don’t worry: if Helm detects that a tunnel is not necessary because Tiller is running locally, it will not create the tunnel. Finally, and most importantly, command is the command that this plugin will execute when it is called. Environment variables are interpolated before the plugin is executed. The pattern above illustrates the preferred way to indicate where the plugin program lives. If a plugin includes an executable, the executable for a command: should be packaged in the plugin directory. The command: line will have any environment variables expanded before execution. $HELM_PLUGIN_DIR will point to the plugin directory. The command itself is not executed in a shell. So you can’t oneline a shell script. Helm injects lots of configuration into environment variables. Take a look at the environment to see what information is available. Helm makes no assumptions about the language of the plugin. You can write it in whatever you prefer. Commands are responsible for implementing specific help text for -h and --help. Helm will use usage and description for helm help and helm help myplugin, but will not handle helm myplugin --help. When Helm executes a plugin, it passes the outer environment to the plugin, and also injects some additional environment variables. Variables like KUBECONFIG are set for the plugin if they are set in the outer environment. HELM_PLUGIN_NAME: The name of the plugin, as invoked by helm. So helm myplug will have the short name myplug. HELM_PLUGIN_DIR: The directory that contains the plugin. HELM_BIN: The path to the helm command (as executed by the user). HELM_HOME: The path to the Helm home. HELM_PATH_*: Paths to important Helm files and directories are stored in environment variables prefixed by HELM_PATH. TILLER_HOST: The domain:port to Tiller. If a tunnel is created, this will point to the local endpoint for the tunnel. Otherwise, it will point to $HELM_HOST, --host, or the default host (according to Helm’s rules of precedence). While HELM_HOST may be set, there is no guarantee that it will point to the correct Tiller instance. This is done to allow plugin developer to access HELM_HOST in its raw state when the plugin itself needs to manually configure a connection. The tunnel is removed as soon as the command returns. So, for example, a command cannot background a process and assume that that process will be able to use the tunnel. When executing a plugin, Helm will parse global flags for its own use. Some of these flags are not passed on to the plugin. --kube-context: This is simply dropped. 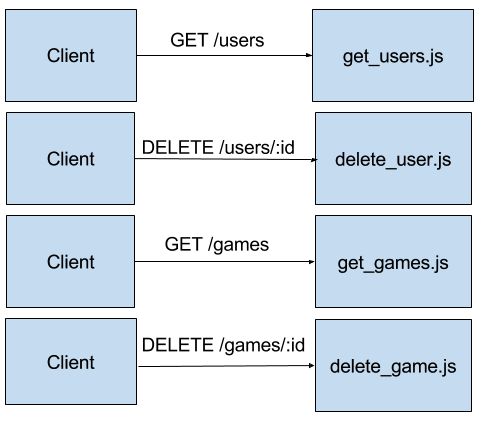 If your plugin uses useTunnel, this is used to set up the tunnel for you. Plugins should display help text and then exit for -h and --help. In all other cases, plugins may use flags as appropriate. Chances are you dont need ping your image, and just want to use it for testing purposes. Above example will help you out. But if you need ping to exist on your image, you can create a Dockerfile or commit the container you ran the above commands in to a new image. The default serviceaccount does not have API permissions. Helm likely needs to be assigned a service account, and that service account given API permissions. kubectl get pods -n kube-system -o wide | grep kube-dns this will return an IP in output. In your pod container check if this IP is present as nameserver. ifconfig note the IP address range assigned to the container. In the kubernetes master node execute ifconfig check that the IP address noted previously belong to which bridge’s IP range. brctl show check if the bridge has an interface attached to it. If not this is the reason the pods do not have an internet connection. [root@k8s-master ~]# kubectl apply -f "https://cloud.weave.works/k8s/net?k8s-version=$kubever"